Greetings everyone!! This is Mitch and I'm your host for this week. I was struggling to think of a theme this week....my mind was going round and round. Then it hit me.....round and round? Circles!!! So there you have it......lets see your circles shots......the stranger or weirder the better!! Another reminder here: PLEASE COME BACK AND COMMENT ON THOSE WHO POST AFTER YOU!!!!! 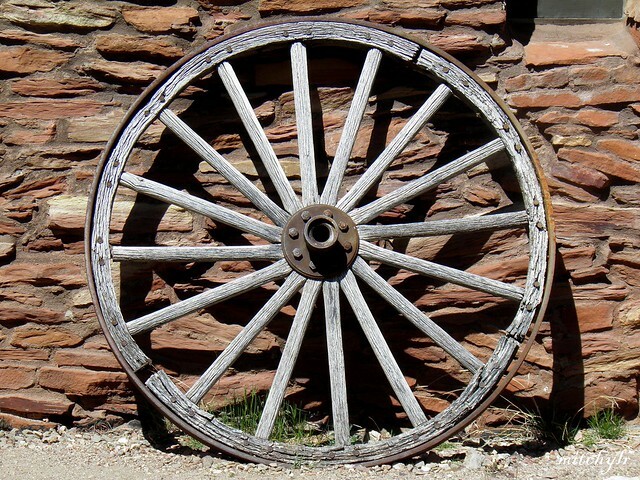 1) A genuine wagon-wheel. Taken at the Grand Canyon. 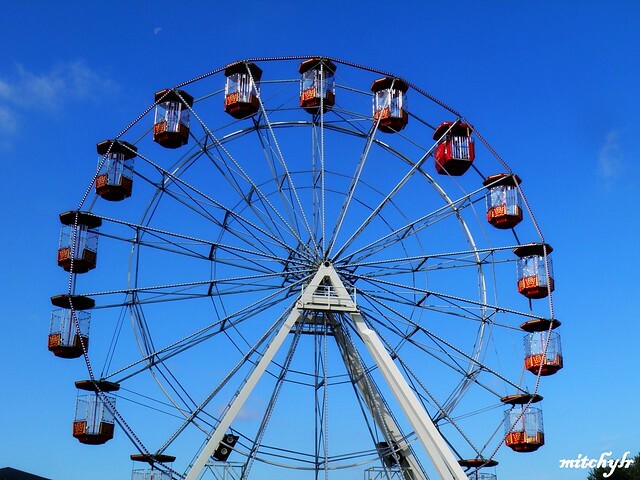 2) An old-fashioned Ferris Wheel. 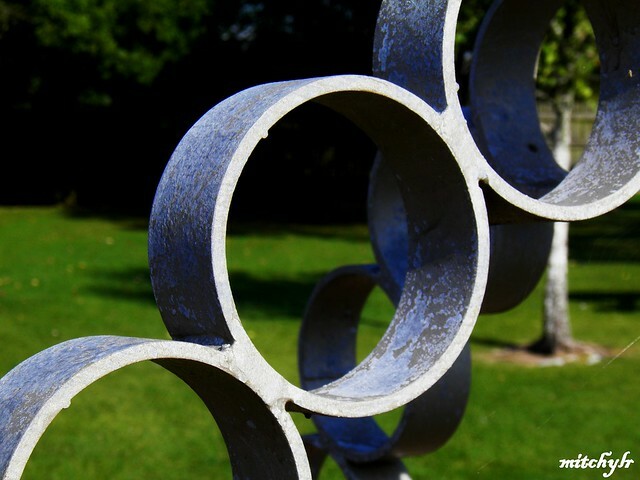 3) Circles in a sculpture. 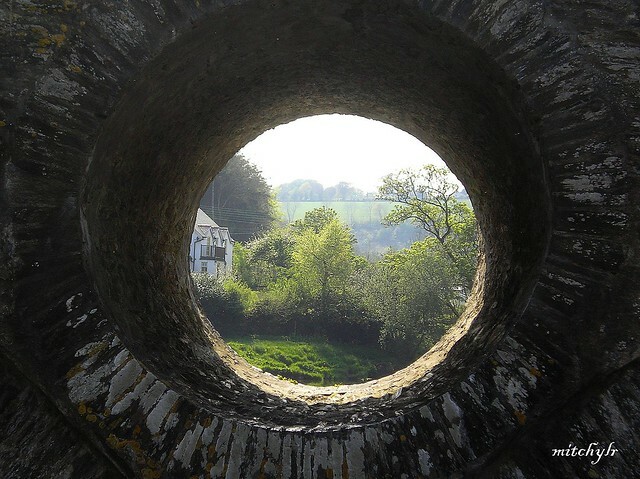 4) This is a 'Circle Span' of an old stone bridge, Cenarth, Wales. Hi Mitch! Wonderful spring banner. I love the wagon wheel and I love the wall it is against even more. Imagine the work it took to get those rocks in place. Very nice ferris wheel and fascinating sculpture. The curves and circles are great. Your last picture is very hobbit-y. Very springlike as well.